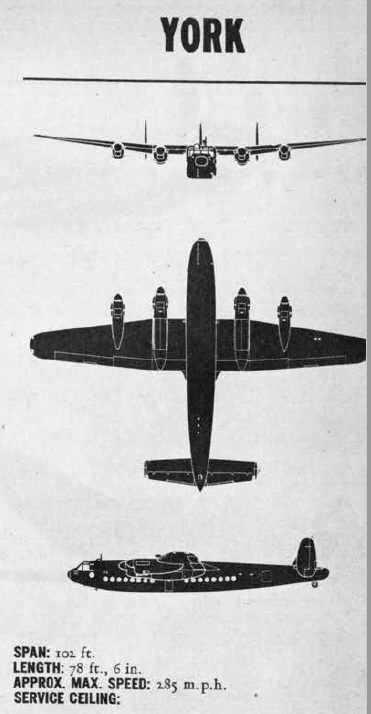 Here we see front, below and side plans of the Avro York, a transport aircraft based on the Avro Lancaster. The wings and tail were taken from the Lancaster, but the fuselage was new, and had twice the internal space. The central fin on the tail was added after early flight tests, to compensate for the increased side area of the York.